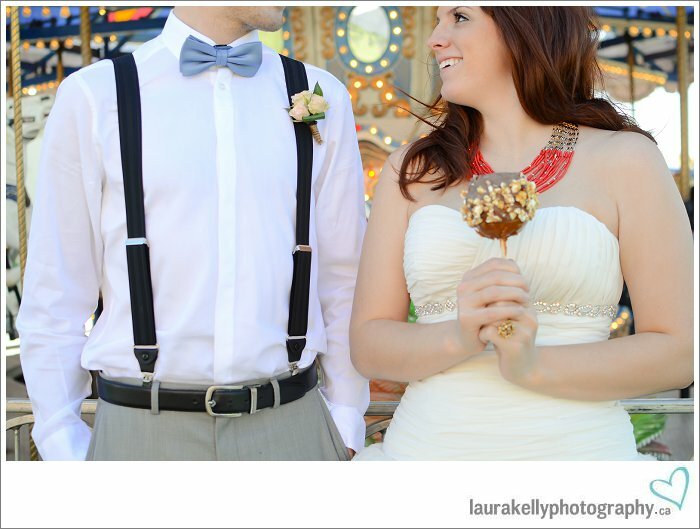 Yesterday I completed the sweet-as-candy styled wedding shoot, and I'm already itching to start another one. I just...love it. Hmm...Pinterest keeps throwing carnival themed pics in my direction, so I've started putting together a pinboard called "Carnival Styled Shoot." Sounds kinda like it's gonna happen, wouldn't you agree? Life has finally settled down a bit. After all of the craziness over the Ottawa Wedding Show and my week in Las Vegas for WPPI 2012, I'm finally able to breathe a bit, and start figuring out ways to add MORE craziness to my schedule. Lol...story of my life. 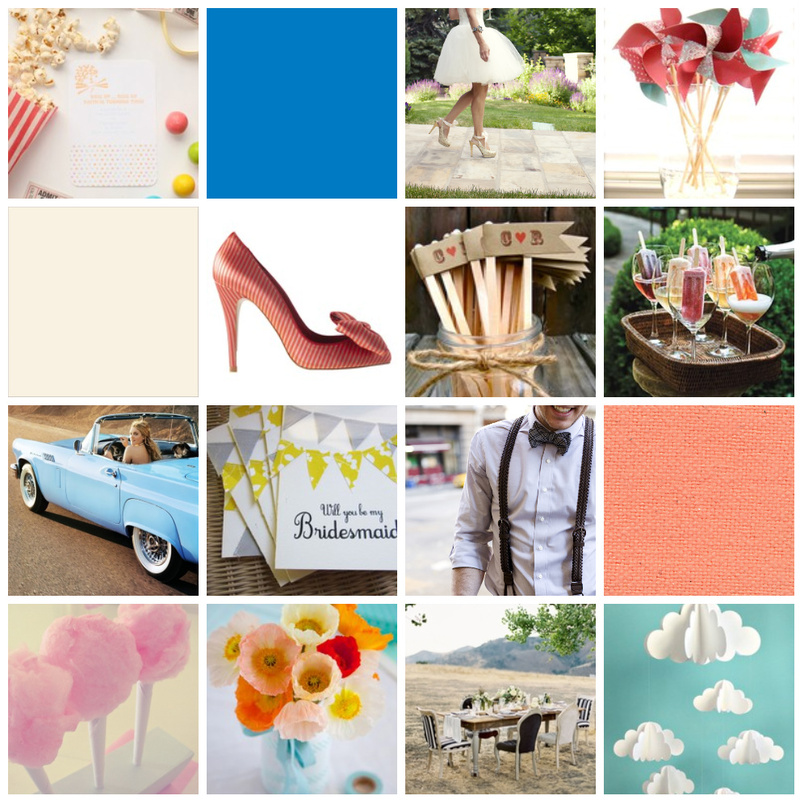 So the carnival-inspired styled shoot seems to be in motion. I've contacted my absolute FAVE cake designer, Chrystal, and I've recruited Shawna, a dear client, friend, and event coordinator at Effervescent Occasions. Shawna and I met at Starbucks to merge our visions and hash out the details. There were times during the meeting that we caught ourselves staring at each other without speaking, motioning that the wheels were turning in our heads. Three and a half hours later when Starbucks kicked us out at closing time (not kidding...) we left with full notebooks, and a clear idea of where we go from here. We just finished creating the physical inspiration board to supply to the vendors who we aren't able to meet with. I just found out that Jasmine Star is doing a free webinar on creativeLIVE, all about how to get an editorial wedding published. Perfect timing, or what? I'm looking forward to tuning in and getting some tips on how to photograph with a particular publication in mind. Plus, I love Jasmine, so that's just icing on the cake. Someone needs to wave their magic wand and make it May 11th already because I am DYYYYING to get the camera in my hands and start shooting this styled shoot. Jasmine's seminar on creativeLIVE is filling my head with ideas and pictures in my head of everything I want to do during the shoot. There's a lot of discussion on the pros and cons of both print and web publication, and I am just so thrilled to have participated in this course BEFORE the shoot. I'd be kicking myself if I watched this any day after May 11th!!! Perfect for where you are, huh? Wiped. Completely...freakin'...wiped. It was a looooooooooong day, but I can't even tell you how excited I am about my memory card full of photos. I can't stop flipping through them over and over again. P.S...just for memory's sake, today I've eaten: a breakfast shake, half a stick of cotton candy, and two bottles of Diet Coke. I cannot wait to see the rest of them!!!!! <3 Thank you so much for letting us do this! omg omg omg!!! i'm dying over here!!! i cannot wait to see the shoot! !